Thank you dear sister for sharing your love of Rumi, and the divine dance and music. My wish: may we all come together one day through love and understanding, not from words, but the pure language of our hearts. Love is the path to the divine. The politics of religion is the obstacle. I am not interested in forms or labels, only the formless within which connects us all. Book of the Month Review: The Earth Shifter! New release: The Earth Shifter – Review, Excerpt + Giveaway! If you could read just one book this year, seriously consider The Earth Shifter! This metaphysical fantasy/thriller is simply one of the most compelling stories you’ll find. Author Lada Ray expertly weaves a tale about the consequences that mankind’s insanity has upon the world. The historical content is fantastic, I’ve learned a lot. The book is rich with historical references, time traveling flashbacks and exotic locales. The apocalyptic theme addresses probable futures for humanity, depending upon how mankind chooses its fate. The main protagonist is a smart, sassy teenage girl named Sasha. Seemingly living a normal, happy childhood growing up, imbued with special powers beyond her understanding, she has the unenviable task of saving the world! Through many mystical adventures and tribulations, she comes to understand her destiny, along with the daunting responsibility of preserving life so the evolution of human consciousness can continue. The adventure is all-encompassing and epic in scope, and the author mindfully balances multiple story lines where the characters play a very crucial role in the outcome. Nothing is pre-determined in life, and the future is wide open as the major players fight to bend “reality” according to their will. There are major lessons that we humans need to learn and accept, the defining realization being that we are all connected in some ineffable mysterious way, which may not be apparent to us in the course of our daily existence, but plays a necessary part in the grand scheme of things. I don’t want to give away any spoilers, but trust me, you will be thoroughly engrossed with the story! There are many engaging subplots which intertwine and reinforce the central theme of struggle, love, acceptance and transcendence. The spiritual/ metaphysical message is strong throughout the book, you can really relate with the characters and find yourself rooting for the best possible outcome of the story. It’s the ultimate thrill ride, your soul will cry out for justice, cheer, shout out for resolution and redemption. It’s that kind of book which elicits the best and worst of humanity, but most importantly reflects our own foibles and struggles with life. Easily a wonderful, thought-provoking book, which I highly recommend to everyone of all ages. It’s a real eye-opening, earth-shifting experience for sure! 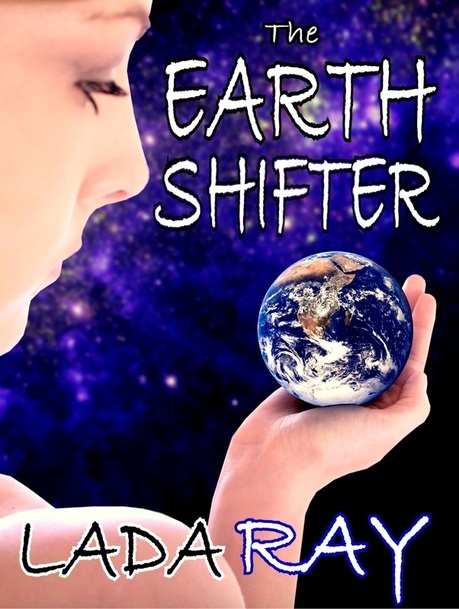 Cool Giveaways/ Reader Appreciation: The Earth Shifter Ebook Lauch and Tablet Contest! 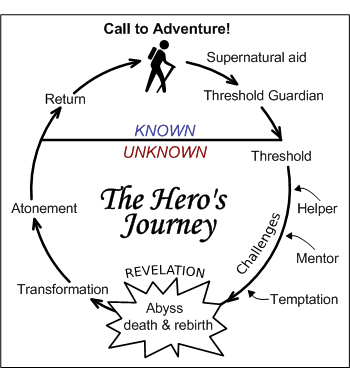 Hero’s Journey & the Quest for Self. Yesterday, a few friends and I were watching The Lord of the Rings: Return of the King and a discussion ensued about man’s epic quest and the “hero’s journey”, a phrase coined by the late Joseph Campbell. In the greater sense, we are all on a hero’s journey simply because we exist and need to experience this journey of self realization. Life offers plenty of obstacles and challenges which forces us to seek answers to this very mystery: Why are we here and what is the purpose of life? Everyday we struggle, strengthen our resolve and learn to find meaning in this reality. It is this very quest to understand one’s true nature and mature through life processes which ultimately allows us to evolve as sentient beings and return home knowing who we are. The movie was supremely enjoyable and ended with Annie Lenox singing “Into the West” during the closing credits. LOTR was exceptionally epic in scale, and the song hauntingly soothing and enchanting. We should ask ourselves, what was Jesus’ intention? As humans, did we really embrace and live by his high-heart teachings? Do I really love, honor and serve Jesus by my thoughts and actions everyday? I should qualify my answer by stating: I am not a Christian because I love Christ uncompromisingly; for the same reason I am NOT a Buddhist because I am deeply in love with the Buddha. True Love and Knowledge is gained from direct experience, everything else is hearsay (heresy?). War and *Peace* What have we learned? Question – Beloved Master, You told us the story of Krishna and Arjuna. But is there no value in resisting war in a time where a handful of madmen play with atomic bombs? Osho – Peter Bohm, how can you resist these few madmen who are playing with atom bombs? What will be your strategy of resistance? In fact, your resistance may bring the war sooner than otherwise; your resistance is not going to prevent it. The only thing that can prevent the world war is that you start a totally new consciousness, that you start a new kind of humanity… a man who is capable of love, a man who is capable of meditation. Let love and meditation spread far and wide. Let meditation reach to as many people as possible. Except that, all your efforts at resistance are impotent. You can protest and you can go on a long march, but have you ever watched the protesters, the people who are against war, the pacifists? Have you watched their processions? They look so aggressive, they themselves look mad! If they had the atom bombs, just to protect peace they would be the first to drop the atom bombs. They are as mad as the other party; there is no difference at all. Their minds are as political as the people who are in power; the only difference is that they are not in power. And their anger, their pent-up anger, you can see on their faces, in their slogans. Every peace protest ends in a fight with the police, with the military. It ends in burning buses, post offices, police stations, cars. What kind of love is this and what kind of resistance is this? It is impotent! But they are feeling they are doing something great. It is an ego trip and nothing else. What can you do? Yes, you can shout and you can go for a long march with great posters, and it will give you a certain satisfaction because your pent-up energies will be released. It is a kind of catharsis. Unknowingly, you are doing Dynamic Meditation — but it would be better if you do it knowingly. Guest blogged from IYYUN: Center for Jewish Spirituality. Why are there so many PROBLEMS in the World today…YOU ARE THE WORLD! somebody else; you have to accept the responsibility on your own shoulders.